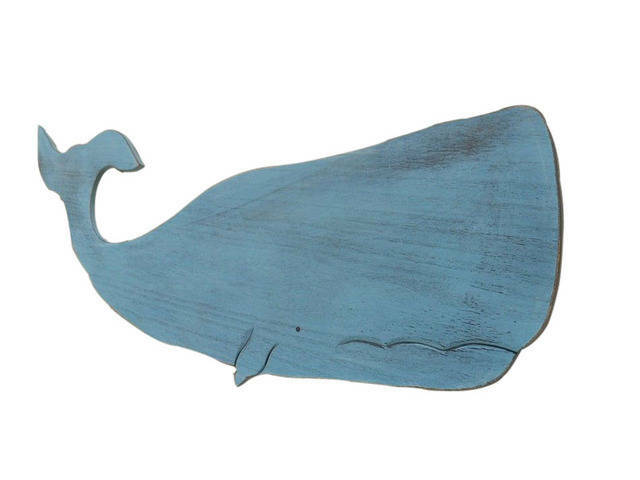 Wooden Rustic Ocean Blue Wall Mounted Whale Decoration 40"
Our Rustic Ocean Blue Wooden Whale 40" is a an instant conversation starter when put on display in your beach theme home. Perfect for those looking to prominently display beach theme decor, this whale decoration can be displayed on a wall or can lean right up against a wall as an accent piece. Give this as a gift to a loved one with an affinity for sea life and choose between the following colors - Rustic Whitewash, Rustic Red, Rustic Ocean Blue, or Rustic Coastal Blue.